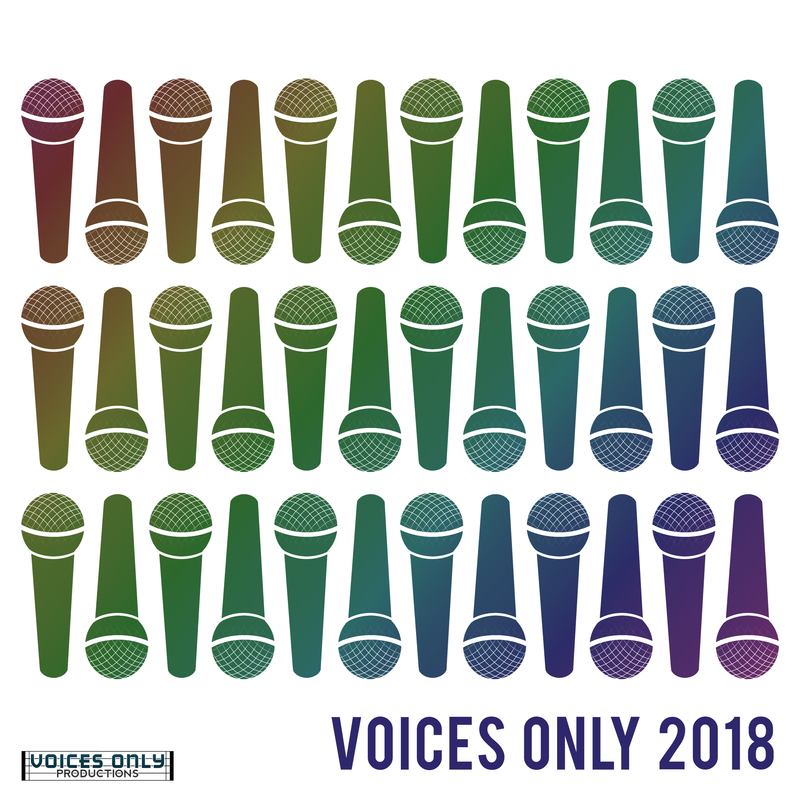 Voices Only is an annual one-of-a-kind two-volume a cappella compilation album comprised of selected excellent tracks released by various groups and artists from around the globe. Founded in 2004, a new Voices Only album is produced and released each year, and includes songs recorded, mastered or released during the previous year. Voices Only includes not just the "best" a cappella tracks, but the best mix of songs, each chosen for a different and specific reason (including soloists, production, arrangements, style, innovation, etc). Voices Only is executive produced by one of the leading a cappella braintrusts, Corey Slutsky. Corey has been a vital influence to the a cappella community, performing internationally, recording and producing albums through Voices Only Productions, reviewing albums for the Recorded A Cappella Review Board (RARB), nominating and judging for the Contemporary A Cappella Recording Awards (CARAs), teaching workshops and masterclasses at international a cappella festivals such as SoJam, the National A Cappella Convention, and the Los Angeles A Cappella Festival, judging ICCA and ICHSA competitions, and consulting the casting agent for The Sing-Off. Previous versions of Voices Only featured between 30-38 tracks from a cappella groups and artists around the World. The 2019 version will feature a similar number of tracks, depending on the quality of the submissions. Submission deadline for Voices Only 2019 is June 16, 2019. The track list will be announced and posted on the Voices Only web site, and the digital album will be released, on September 2, 2019. - Any song recorded, mastered or released between January 1, 2018 and June 16, 2019 is eligible for Voices Only 2019. - Submissions will only be accepted digitally. Instructions to upload your music to us are listed further down the page. - Covers and originals are eligible. There is no bias either way. - Individual songs, digital singles, and songs from albums not yet completed/released are eligible. - There is no limit to the number of songs a group can submit in their submission. Groups do not need to select or specify a limited number of songs from their releases for submission. Submit them all! - All submissions must include a valid and frequently checked e-mail address to keep in contact with you during the process, since all discussions will take place via e-mail. - Groups' financial commitment ends with their submission fee (see below). Voices Only will be responsible for purchasing all mechanical and digital licensing rights for cover songs. Artists are not required to pre-purchase copies of Voices Only 2019. - As this is an a cappella album, only a cappella songs are eligible. You are welcome to submit albums that contain a cappella and non-a cappella songs, but only the a cappella songs will be considered. - Groups and artists of any type, size, age, affilliation, etc will be considered, including Middle School, High School, Collegiate, Post-Collegiate, Amateur, Professional, Seasonal, etc. - Submission does not guarantee selection for Voices Only 2019. 1) Click here to submit your online submission form. Your submission will not be considered until this form is completely filled out and submitted. 2) The submission fee is $30 US. This is a single fee that is only $30 regardless of the number of tracks or albums you submit (1 song = $30 fee, 5 songs = $30 fee, 20 songs = $30 fee). This is the only financial commitment required of all groups, whether or not you are selected for Voices Only 2019. Groups are not required to pre-purchase copies of Voices Only 2019. Your submission will not be considered until this fee is received. You can submit this fee via Venmo to Corey Slutsky (preferred option), PayPal to voicesonly@gmail.com (please select the "Friends or Family" option to avoid fees), or via check payable to Corey Slutsky (e-mail voicesonly@gmail.com for mailing address). Please designate your group name and (if applicable) school name in the Venmo information, PayPal special instructions, or on the check. 3) Submit one copy of your recorded material. To upload your music, click THIS LINK to upload to our DROPBOX. Your submission MUST be properly labeled. Label each track with the song title and your artist name (i.e. : Levels - The SoCal VoCals). We receive many submissions and we'd hate to lose yours because it's not properly labeled. Once you have labeled all tracks properly, place all the tracks into one folder. Label this folder with your artist name. Next, compress the folder into a .zip file, and upload that ONE zipped file to the link above. Do NOT upload each of your songs individually. You must upload just one .zip file to be considered. The deadline for submissions is June 16, 2019. All submission forms, fees and recorded material must arrive on or before June 16. Again, you have until June 16, 2019 to submit, but remember the sooner we receive your submission, the longer we have to listen to it! We look forward to hearing everything! If you have any questions, please e-mail us at voicesonly@gmail.com.